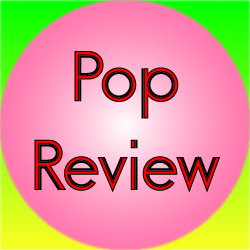 This review covers the pop track The Chainsmokers – Closer (Feat. Halsey). This track was released in 2016 on the EP album Collage. The track features some minimalistic sounds backing the vocals. After the first chorus, the track features a strange sound that I can’t really identify. After this, there is some female vocals that more or less repeats the lyrics. The two vocal talents then appear at the same time. There is a build-up, but the track then returns to the strange sound again before it just, well, ends. The problem with this track is that it brings a number of elements in. Unfortunately, nothing really meshes that well together. Probably the best part was the piano portion. Unfortunately, it’s only half decent and, even then, it’s very short-lived before the track cuts away from it. So, you never really get a chance to enjoy the track. Another problem with this track is the lyrics. There just isn’t that much in there and they just repeat. While the near lack of any real lyrics is a problem, what is there just seems forced. You could almost hear the pages turning in the Thesaurus as the writer tries to come up with something that either rhymes or comes close. In addition to this, some parts of the vocals just ends up being flat. How one could take the dynamics of male and female vocals, combine them, and still successfully make them sound flat is so bad, it’s actually an accomplishment. It required nearly stripping everything out of the track in some portions to do it, leaving the vocal portions almost a pure acapella, but darn it, the producers certainly made it on that front. Ultimately, this track falls flat. The different sections of the track never lead into each other very well. It successfully took the dynamics of male and female vocals and worked them down until they sounded flat. The piano sections were decent enough to hear, but it ended up being so fleeting, it is impossible to enjoy. So, ultimately, this track is a flop.